As businesses become more mobile, it's getting easier to develop your own applications. It can have dramatic effects, increasing staff productivity and cutting admin time dramatically. Bespoke apps can also be used to engage your customers, often through a modified version of the same app you use internally. And if you're technically savvy, you can make your own apps in-house; there's plenty of software to support you. But it isn't for beginners and, if you get it wrong, you are putting data at risk. So where do you start? The cheapest option is to adjust another app; or you can outsource development; or build in-house. Whichever option you choose, a specialist is usually needed before creating an app. SMBs should first look at the efficiencies that the app could provide - and then weigh up the costs. "Overall the ability to do business more effectively when on the move is a big plus," says Michael Azoff, Principal Analyst at Ovum. He recommends SMBs take a strategic approach, which he says "will save money". But businesses should be sure their app idea has weight before committing, says Ben Reed, Head of Technology at Mubaloo. "It is way more expensive than people realise," he says. "It's starting to shift; but some businesses think an app is relatively easy to produce - like a website." One SMB, marketing and communications company Emperor Design, has created several bespoke apps using Citrix's Podio app builder. The Citrix product itself wasn't expensive, but the training time was, costing the firm up to £20,000, says Rinella Da Silva, Senior Digital Project Manager at the firm. The company uses both internal and client-facing apps, which have reduced admin substantially, more than making up for the initial pay out, Da Silva adds. The firm now has seven apps, which have replaced time-heavy Excel spreadsheets and email communication. Mubaloo advises SMBs to first decide on the main aim of their app. "Clients want to get an app out but they don't know what for," says Reed. "Before you decide the technology, what is the problem you want to solve and what is the user base?" Once that's decided, SMBs should identify devices and make a decision on which platform they want to support, Reed advises. And there are a number of cross-platform toolkits. "These give you a singular code case across Android, iOS or whatever platform you use, and can be a quick way of getting out simple apps," he says. However, they fall down when you start doing something complicated with them, he warns. The kind of apps you create will depend on your sector of business. "Each will have its individual needs and it will be clear which apps need building," says Azoff. "A bank or financial firm, for example, will want apps that support online access to accounts. And often it's a question of transitioning existing web applications to work on smaller mobile devices." 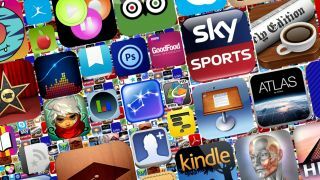 Apps can be developed in-house by a small company, but much depends on how much customisation you need; intellectual property tied into the app; and what skills and resources you have available. One SMB, electrical resistor manufacturer Cressall Resistors, has recently developed its own app for Ohm's Law - the mathematical model that engineers use for mentally mapping out electrical circuits. The app has been a good seller. Since its launch early this year, it has already been downloaded more than 10,000 times by electrical engineers, who use it on a daily basis. But SMBs with development resources for in-house servers and platforms should be wary of thinking they can transfer those skills, says Reed. He recommends that SMBs look at different app stores and adjust something if it matches what they are trying to achieve. "If an app is out there already, then the company may adjust it for you to use," he advises. These include apps by some of the bigger players, which are building suites capable of basic tasks such as timesheets and tracking. There are also some development solutions on the market designed for non-technical people, Azoff adds. Alternatively, another option is to hire a development shop to build it. "There are sites where you can bid for work and select whether you want onshore, near-shore, or offshore," Azoff says. And depending on the option you choose, prices vary. Some of the software itself is cheap: For the less technical, Citrix's Podio app builder is free for up to five internal and five external users, then $9 a month per user after that. The Podio apps can either be picked up from the 'store' - made by other users - or built bespoke and merged into a 'pack' of apps which all work with each other. Podio also features an app market with 700 apps, so you don't have to start from scratch. Citrix claims Podio can be used by anyone, regardless of their technical ability "For this kind of expertise you would normally need help from an IT department or vendor," says Kasper Hulthin, Director, Podio Sales. Azoff also recommends SMBs look into options by vendors such as Adobe, Caplin, IBM, MobileOps, Oracle, SAP, and Sencha. But if you lack expertise and want to create something bespoke from scratch, costs can be high; around £25,000 to £30,000, says Reed. In nine out of 10 cases, companies don't have resources in house, he says. "So they will either come to us or build a cross-platform web application." Creating your own apps can make huge savings on admin time, as well as increasing your productivity. But the best - and cheapest - option might be to adjust someone else's app to suit your business. Do do iOS 7's enterprise features cut it in the SMB market? Find out here.